Using Arabic is a guide to Arabic usage for students who have already acquired the basics of the language and wish to extend their knowledge. Focusing mainly on Modern Standard Arabic, it is divided into three clear sections on varieties of Arabic, grammar, and vocabulary. 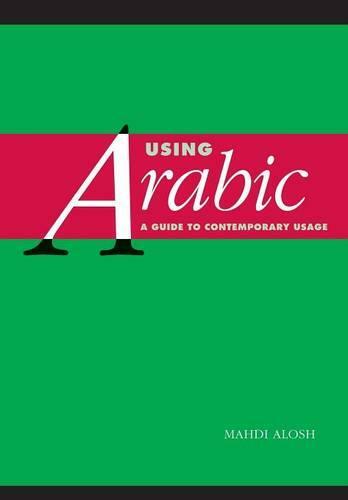 'Varieties of Arabic' describes the linguistic situation in the Arab world, showing students variations in register through the use of authentic texts. The vocabulary section is designed not only to expand students' knowledge of Arabic words, but also to show them which words are most current, and which are appropriate to different registers. The final chapter provides an overview of Arabic grammar, giving many modern-day examples, and highlighting common errors. Clear, readable and easy to consult, Using Arabic will prove an invaluable reference for students seeking to improve their fluency and confidence in Arabic.